Inhale the future, and exhale the past in the comfortably chic Jimi Mermaid Tank Top. Lightweight poly-stretch blend offers all-day comfort and increased mobility. Unlined allowing more room to breathe and focus. Flirty cutout detail featured at front. Round neckline. Sleeveless design. Racerback construction. Cropped straight hemline. 79 percent recycled polyester, 21 percent spandex. Hand wash, hang dry. Imported. Measurements: Length: 16 in Product measurements were taken using size XS/SM. Please note that measurements may vary by size. 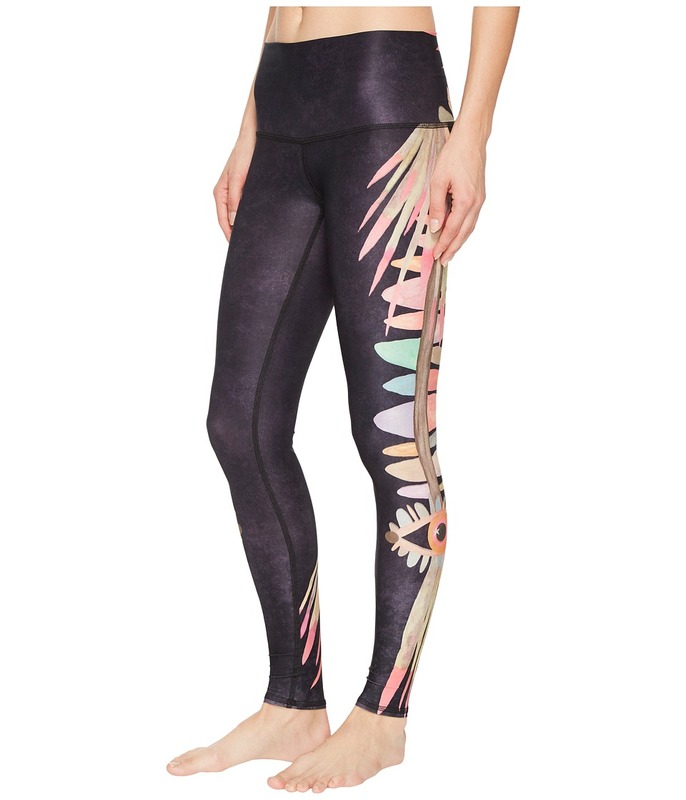 Never find yourself bent out of shape in the chic, flexible Jimi Hot yoga pants. Four-way stretch fabric enhances comfort and allows a wider range of movement. Flatlock seams reduce chafing and increase comfort. Stylish cutout details at sides. Versatile high or low stretch waistband offers elastic-free comfort. Ankle length. 79 percent recycled polyester, 21 percent spandex. Hand wash, hang dry. Made in the U.S.A. Measurements: Outseam: 37 1 2 in Inseam: 26 in Front Rise: 9 in Back Rise: 13 in Leg Opening: 7 in Product measurements were taken using size SM, inseam 26. Please note that measurements may vary by size. 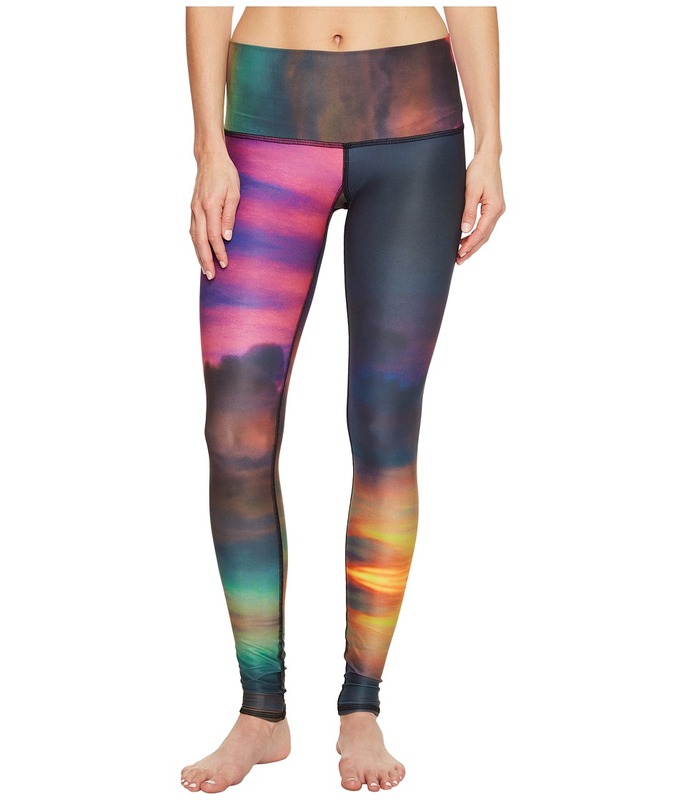 Become one with the energy in the beautiful Cloud Hot Pants. Four-way stretch fabric enhances comfort and allows a wider range of movement. Flatlock seams reduce chafing and increase comfort. Versatile high or low stretch waistband offers elastic-free comfort. Ankle length. 79 percent recycled polyester, 21 percent spandex. Hand wash, hang dry. Made in the U.S.A. Measurements: Waist Measurement: 26 in Outseam: 36 in Inseam: 26 in Front Rise: 8 in Back Rise: 14 in Leg Opening: 7 in Product measurements were taken using size SM, inseam 26. Please note that measurements may vary by size. The best things in life are wild and free. Four-way stretch fabric enhances comfort and allows a wider range of movement. Flatlock seams reduce chafing and increase comfort. Versatile high or low stretch waistband offers elastic-free comfort. Ankle length. 79 percent recycled polyester, 21 percent spandex. Hand wash, hang dry. Made in the U.S.A. Measurements: Waist Measurement: 26 in Outseam: 34 1 2 in Inseam: 28 1 2 in Front Rise: 6 1 2 in Back Rise: 13 in Leg Opening: 7 in Product measurements were taken using size SM, inseam 24. Please note that measurements may vary by size. 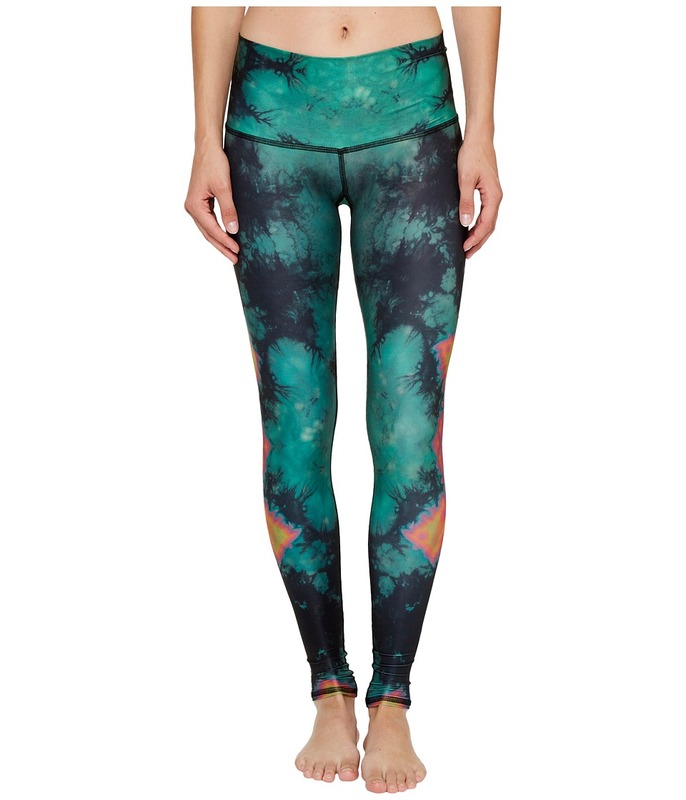 Become one with the energy in the beautiful Eagle Feather Hot Pants. Four-way stretch fabric enhances comfort and allows a wider range of movement. Flatlock seams reduce chafing and increase comfort. Versatile high or low stretch waistband offers elastic-free comfort. Ankle length. 79 percent recycled P.E.T., 21 percent spandex. Hand wash, hang dry. Made in the U.S.A. Measurements: Waist Measurement: 26 in Outseam: 35 1 2 in Inseam: 26 in Front Rise: 7 1 2 in Back Rise: 13 in Leg Opening: 6 in Product measurements were taken using size SM, inseam 26. Please note that measurements may vary by size. Dance the night away. Four-way stretch fabric enhances comfort and allows a wider range of movement. Flatlock seams reduce chafing and increase comfort. Versatile high or low stretch waistband offers elastic-free comfort. Ankle length. 79 percent recycled polyester, 21 percent spandex. Hand wash, hang dry. Made in the U.S.A. Measurements: Outseam: 35 1 2 in Inseam: 28 in Front Rise: 8 1 2 in Back Rise: 12 1 2 in Leg Opening: 6 1 2 in Product measurements were taken using size SM, inseam 26. Please note that measurements may vary by size. 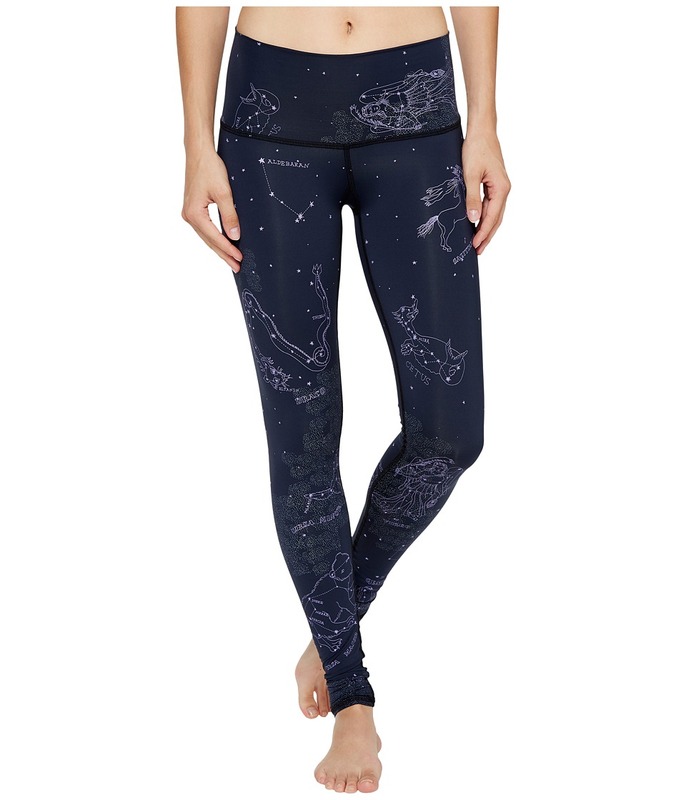 Never find yourself bent out of shape in the chic, flexible Stardust Hot yoga pants. Four-way stretch fabric enhances comfort and allows a wider range of movement. Flatlock seams reduce chafing and increase comfort. Versatile high or low stretch waistband offers elastic-free comfort. Ankle length. 79 percent recycled polyester, 21 percent spandex. Hand wash, hang dry. Made in the U.S.A. Measurements: Outseam: 35 1 2 in Inseam: 28 in Front Rise: 8 1 2 in Back Rise: 12 1 2 in Leg Opening: 6 1 2 in Product measurements were taken using size SM, inseam 26. Please note that measurements may vary by size. Express your love for those peaceful morning studio workouts in the Sunrise Lover Tank Top. Lightweight poly-stretch blend offers all-day comfort and increased mobility. Unlined allowing more room to breathe and focus. Flatlock seams reduce chafing and increase comfort. Round neckline. Sleeveless design. Racerback construction. Cropped straight hemline. 79 percent recycled polyester, 21 percent spandex. Hand wash, hang dry. Made in the U.S.A. Measurements: Length: 14 in Product measurements were taken using size XS/SM. Please note that measurements may vary by size. 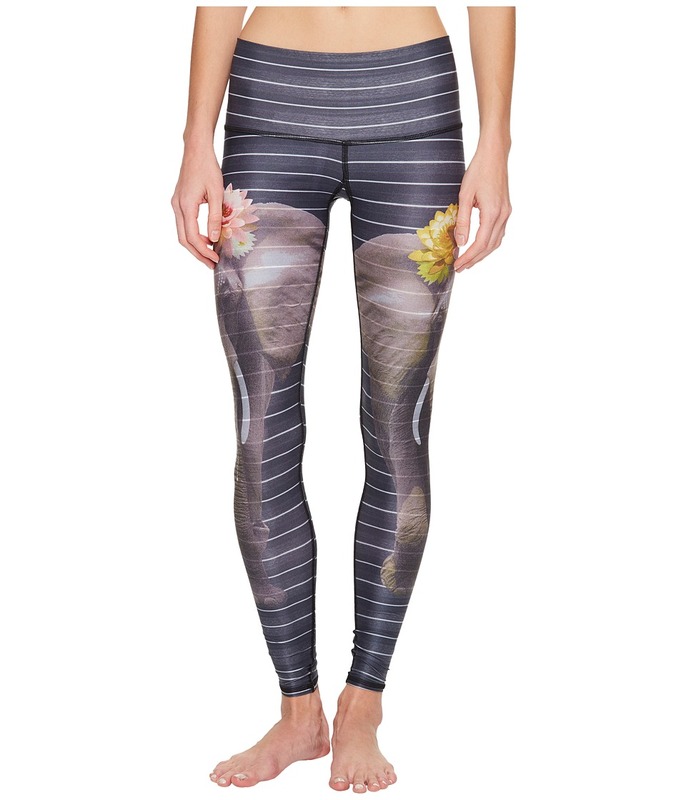 Never find yourself bent out of shape in the chic, flexible teeki Hot yoga pants. Four-way stretch fabric enhances comfort and allows a wider range of movement. Flatlock seams reduce chafing and increase comfort. Versatile high or low stretch waistband offers elastic-free comfort. Ankle length. 79 percent recycled polyester, 21 percent spandex. Hand wash, hang dry. Made in the U.S.A. Measurements: Waist Measurement: 26 in Outseam: 35 in Inseam: 26 in Front Rise: 9 in Back Rise: 13 in Leg Opening: 7 in Product measurements were taken using size SM, inseam 26. Please note that measurements may vary by size.